This simple yet refined pendant features wrought iron metal tubing finished in Mol? Black. 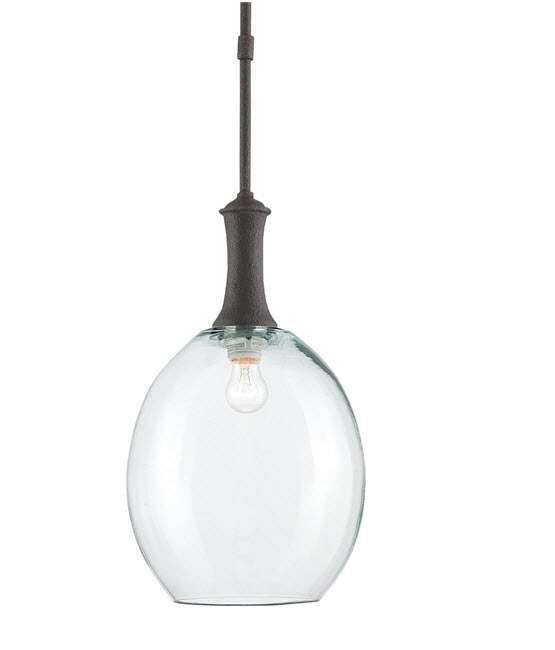 The shade is hand-blown frosted glass in a distinctive dome shape.